We don't want to start a Mets vs. Yankees debate here, but with baseball season in full swing this is the perfect evening to get you in the mood to watch America's favorite past-time. Art Shamsky, a former NY Met's outfielder will be at Book Revue on April 25 to sign copies of his new memoir After the Miracle. 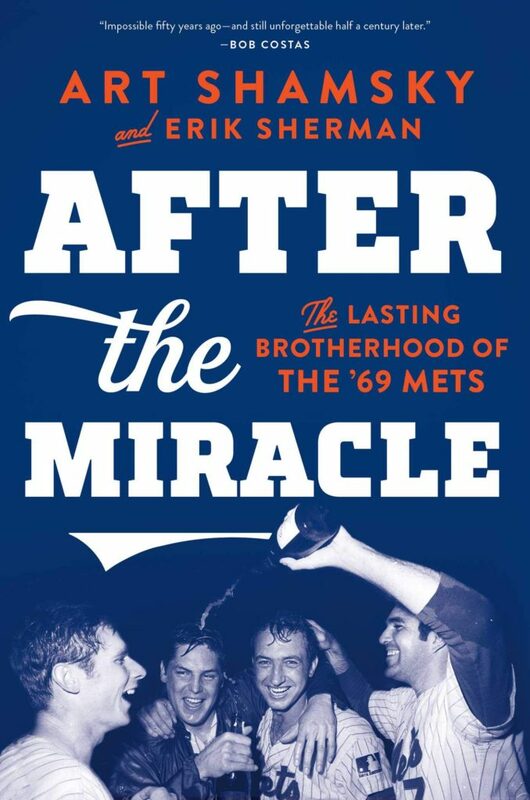 After the Miracle tells the story of the New York Mets in the 1960s, and how they went from being a consistently last-place team, to "the Miracle Mets" in 1969. The story is told by Art Shamsky, along with the help of his teammates such as Tom Seaver. Books can be purchased at Book Revue ahead of time (just save your receipt) or at the time of the event!